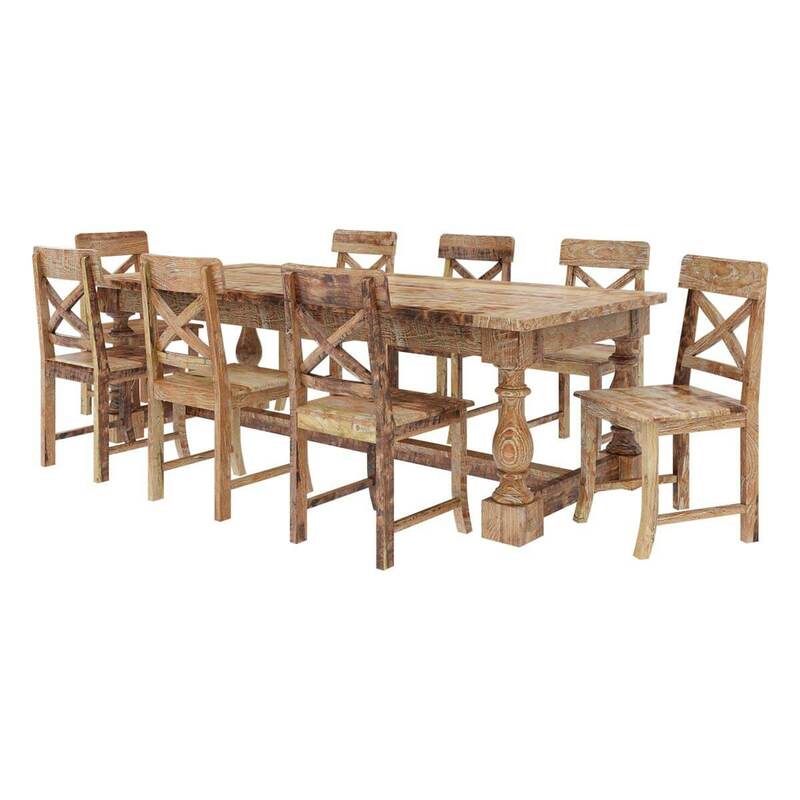 Allow your dining room to look exquisite and charming with our Britain Rustic Teak Wood Trestle Base 11 Piece Dining Room Set. 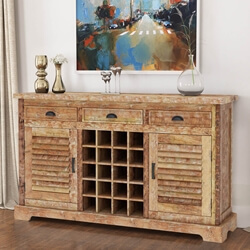 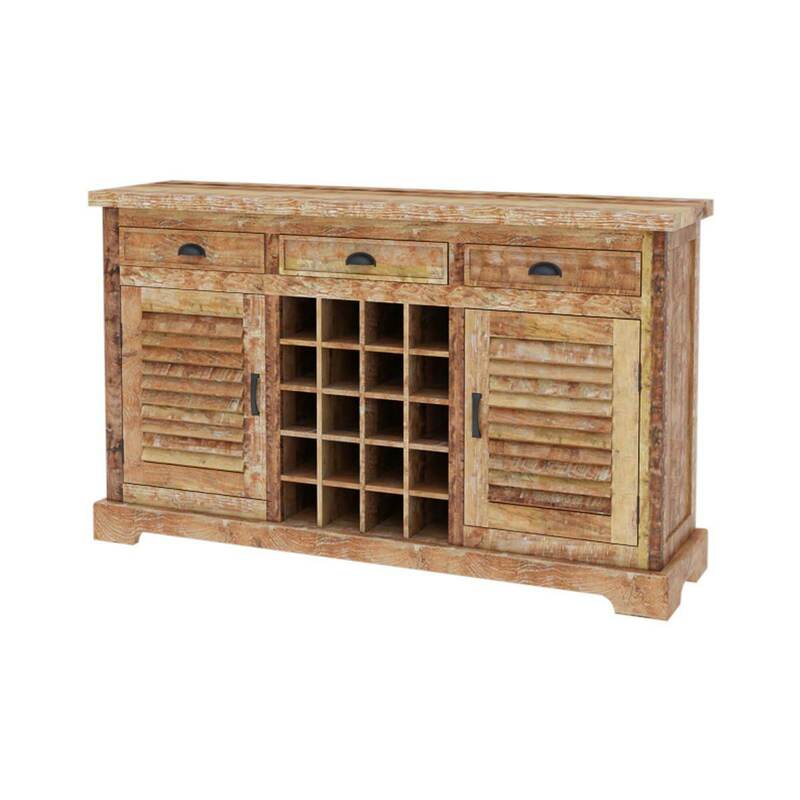 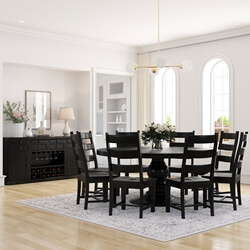 Offering a large dining table with trestle base and six chairs, a hutch to display and store dining ware, and a wine buffet cabinet to take care of wine bottles and glasses, the set will surely entertain your guests to the maximum. 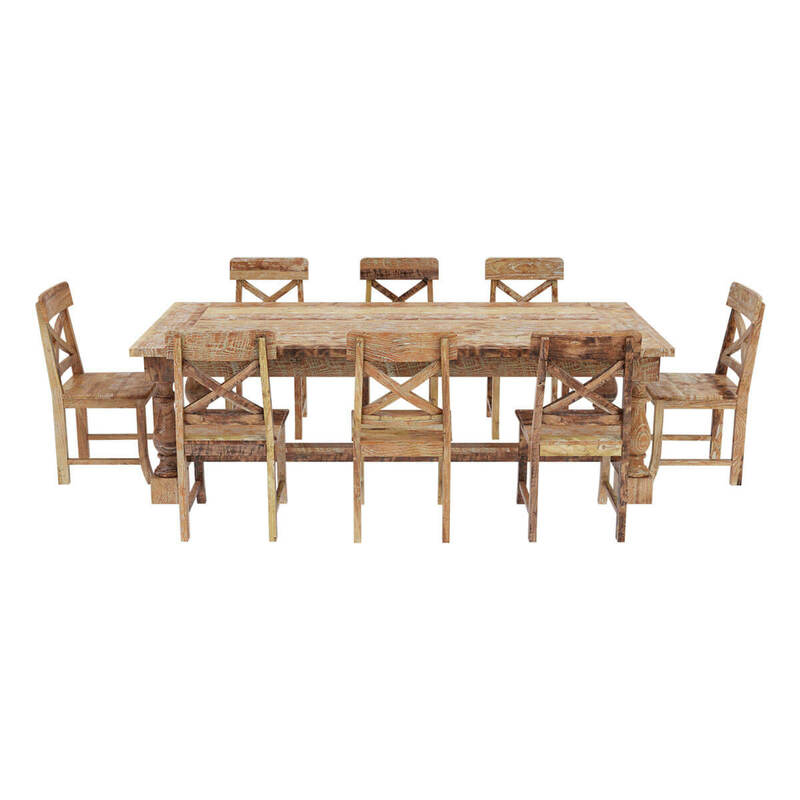 The set comes crafted from sturdy and beautiful teak wood that is enhanced by the long process of hand applied finish. 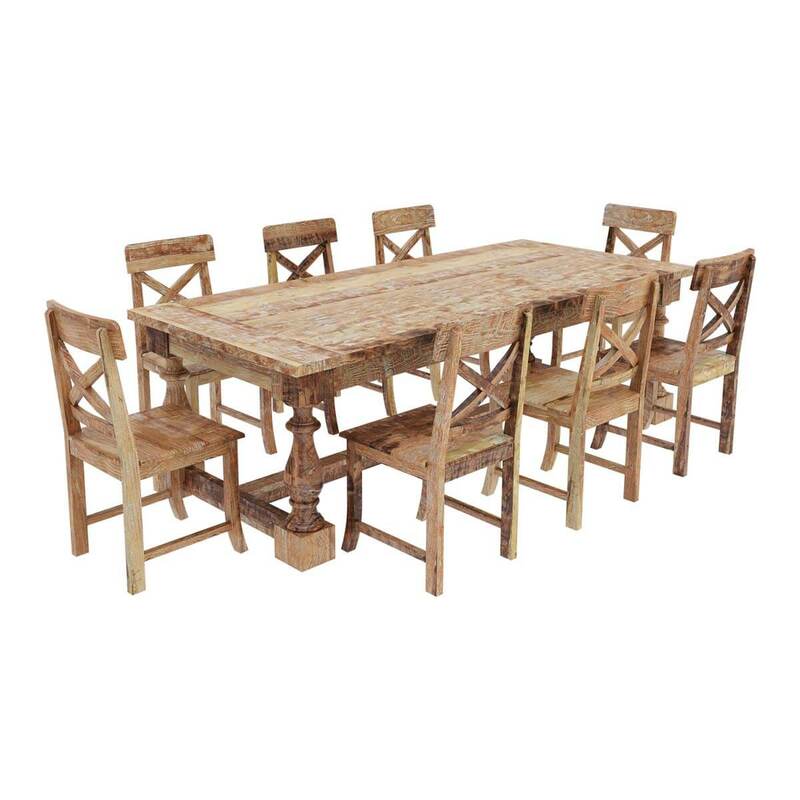 Perfect for traditional to modern décor, the solid teak wood dining room set is what you need to make your dining space even more inviting. 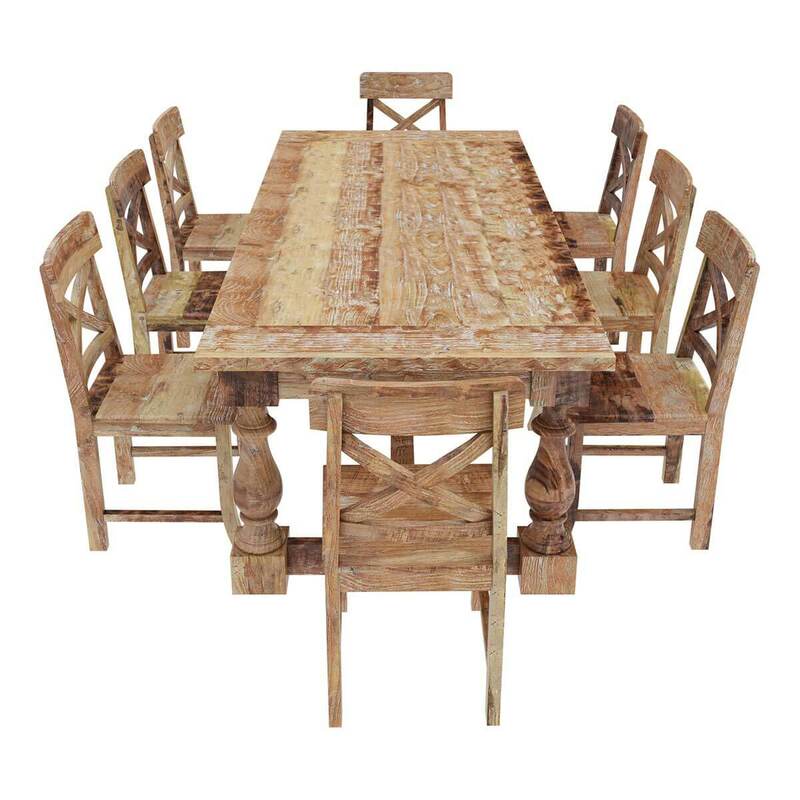 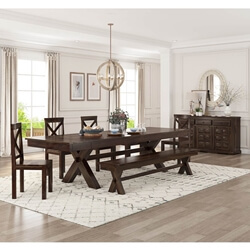 Materials: This solid wood dining room collection is made of 100% rustic teak wood that gives a dining space classy appearance and long-lasting durability. 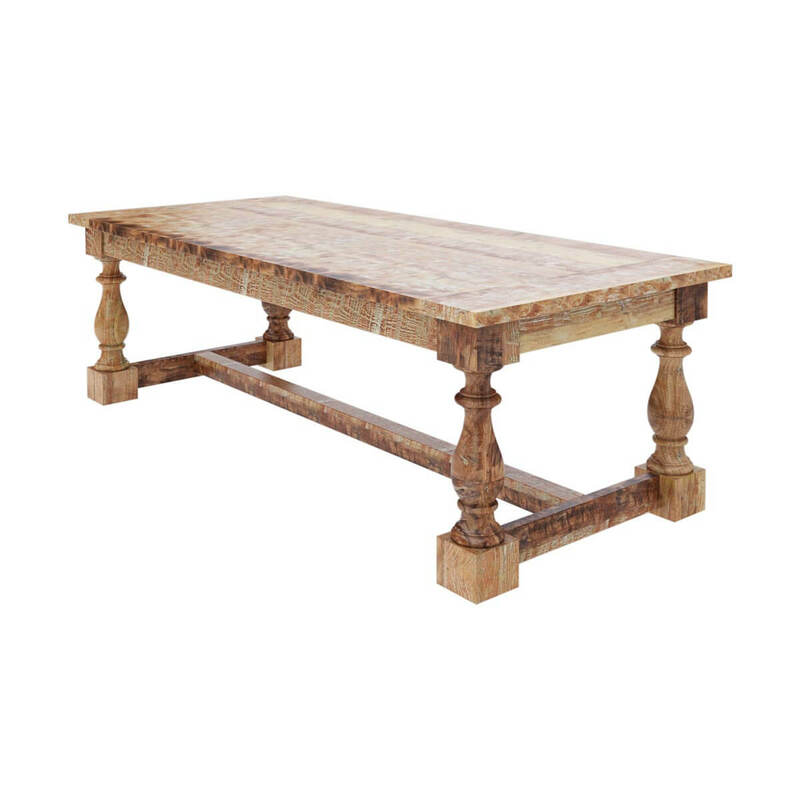 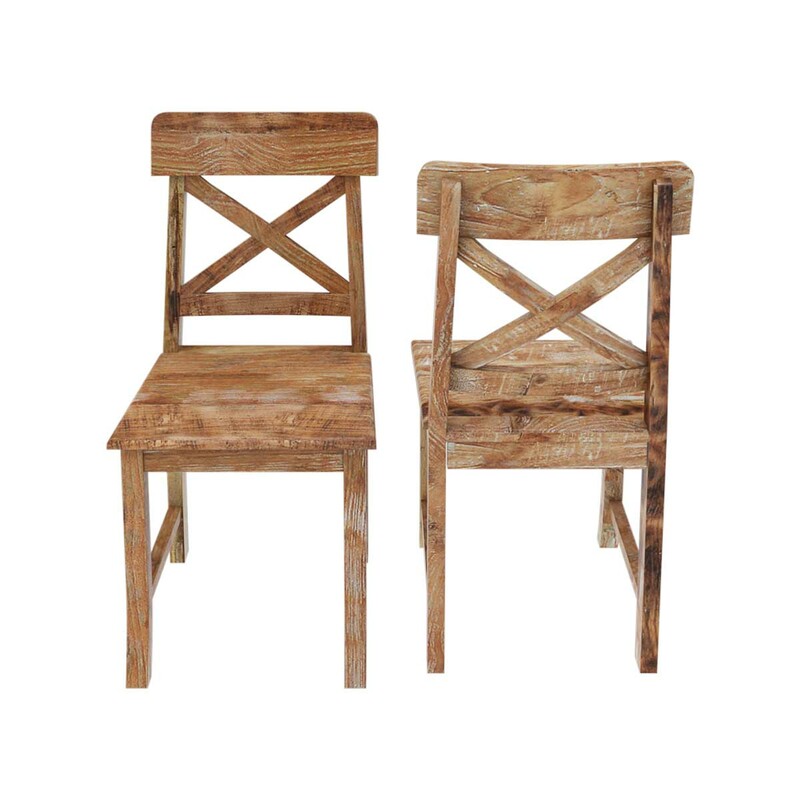 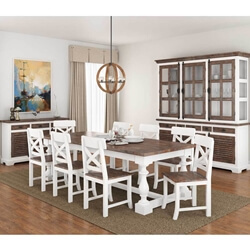 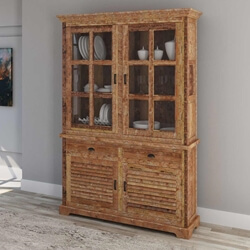 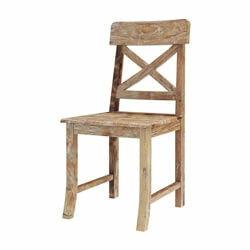 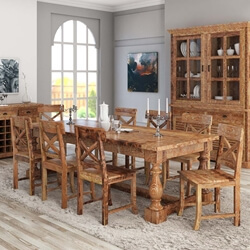 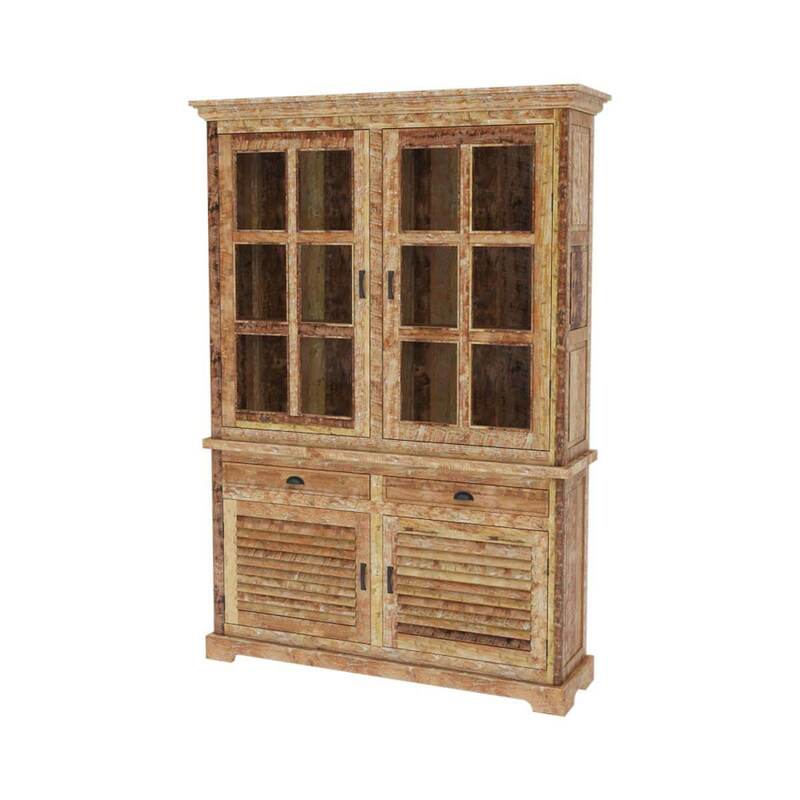 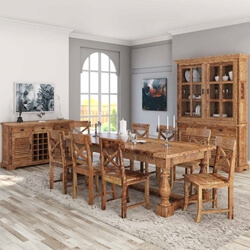 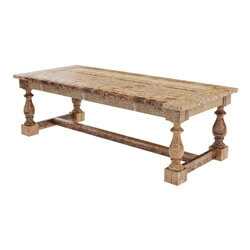 Finish: This rustic solid wood dining room collection features a natural hand rubbed stain and finish.